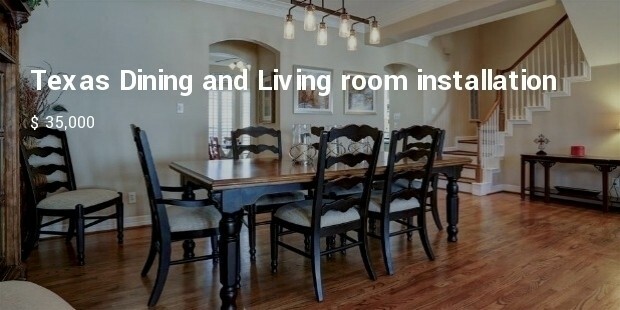 A dining room is most likely the first place we run to when we get home from work or school. When guests and friends come to our homes for a visit, we often become too generous to let them walk out ours doors without sharing a meal with them. 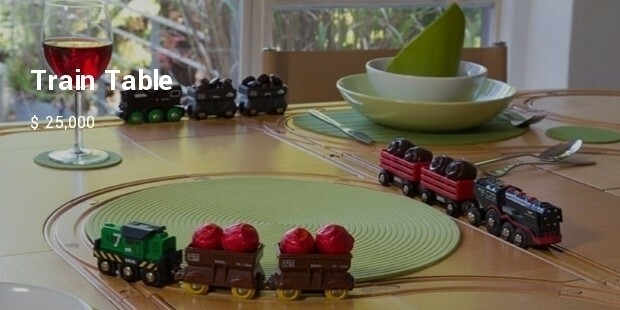 And the dining table always has the right food for the occasion. A table that costs a fortune can make your dining room shine by creating a hub of real entertainment for families, friends and guests. 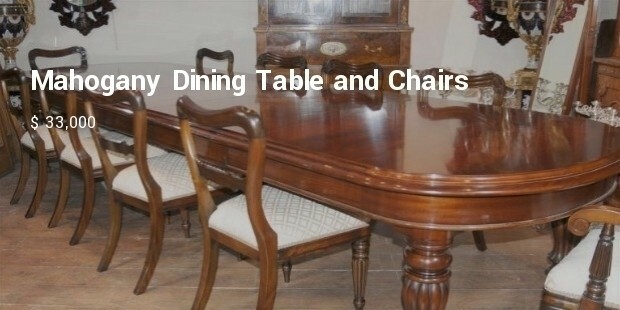 Because a good table will surely last for decade, it can be passed from one generation to another in the family line. 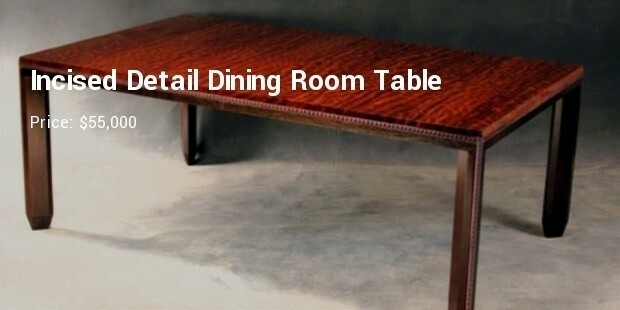 Here are top ten expensive dining room tables of all time. This table is a two-piece construction with two drawers, column pedestal and a tripartite base. 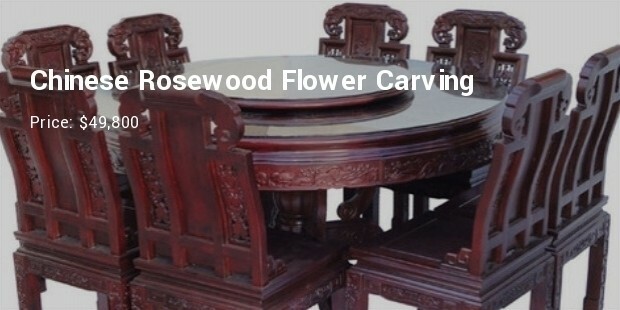 It is commonly known as Dining Table in Walnut. It has a top screwing into base. 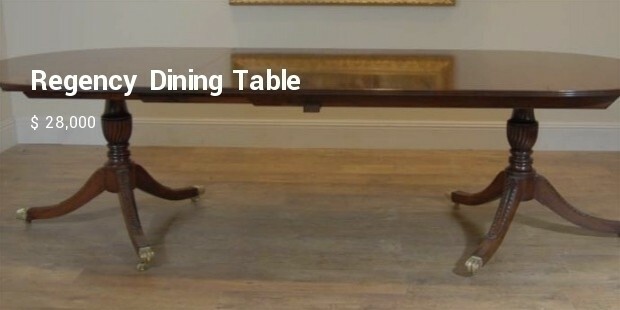 The table has a price tag of $66,400, making it the most expensive piece of furniture of all time. 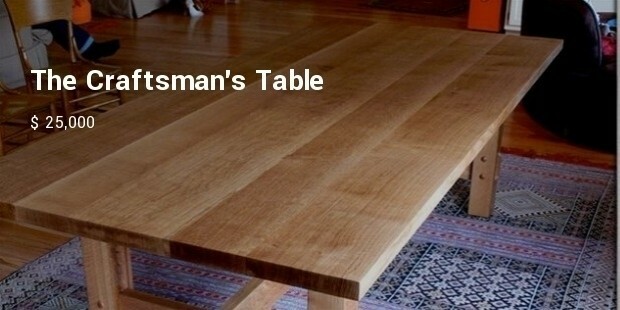 The table’s top is made of the rare curly African Bubinga. The legs are made of solid African Wenge. 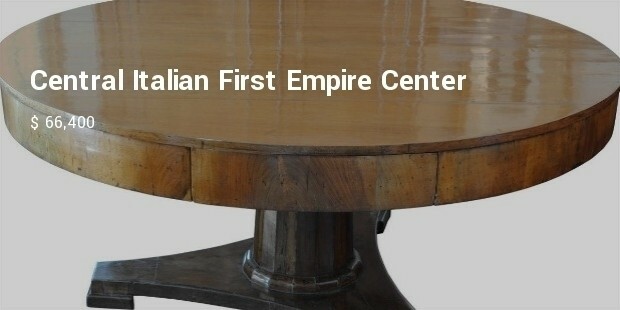 Africans must really be proud to know that one of the most expensive dining tables was built using materials from their continent. 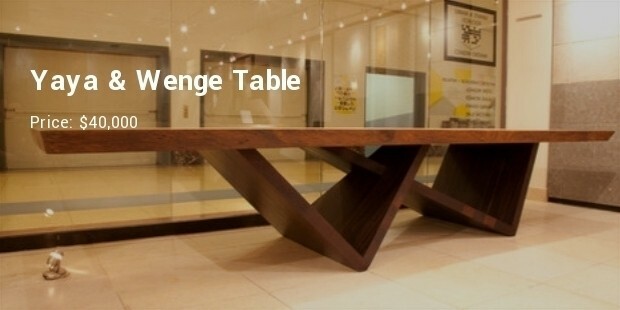 The legs of this table aren’t the one you are often used to; they are triangular in shape and cross each other in style. This piece of unique furniture can accommodate up to eight seats. It currently goes for $49,800 on the market. Yaya & Wenge table is another piece from a pure African origin. The legs are made using African Wenge and the top is made of pure Yaya. This special piece is 13 feet long and 45 inches wide, probably the longest table you will ever see. Every piece of future mentioned have one thing in common: they give dining rooms the exact look that it should have. They add life to your dining room so that the room doesn’t look too boring. 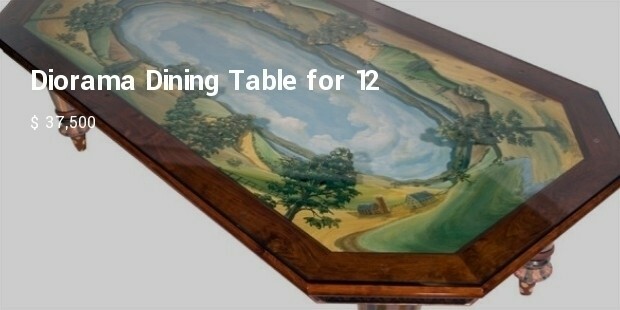 They are the best for modern dining room experience.